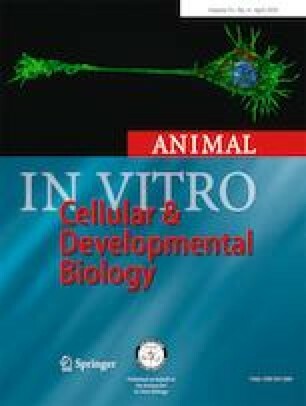 This study determined the effects of miR-338-3p on osteoclast (OC) differentiation and activation. The change levels of miR-338-3p in differentiated OCs were investigated by microRNA microarray assay and quantitative real-time PCR analysis. The effects of miR-338-3p on the differentiation and activation of OCs were determined by tartrate-resistant acid phosphatase staining resorption activity assay and Western blot. Target genes of miR-338-3p were identified by target gene prediction and dual-luciferase reporter gene detection assay as well as Western blot. Results showed that miR-338-3p was markedly downregulated in differentiated OCs. miR-338-3p could inhibit the formation and absorption activity of OCs. Western blot showed that miR-338-3p could influence the change levels of OC differentiation–related proteins. Dual-luciferase reporter gene detection assay and Western blot both showed that miR-338-3p directly targeted IKKβ gene. In conclusion, miR-338-3p may affect the formation and activity of OCs by targeting the IKKβ gene. The online version of this article ( https://doi.org/10.1007/s11626-019-00325-8) contains supplementary material, which is available to authorized users. This study was supported by the Project of Natural Science Foundation of Anhui Province (1508085QH172), the Natural Science Research Project of Universities in Anhui (KJ2017A225, KJ2018A1011, and KJ2017A237), the Natural Science Foundation of Bengbu Medical College (BYKY1614ZD), and the National Training Programs of Innovation and Entrepreneurship for Undergraduate (201410367029, 201610367004, 201810367019).